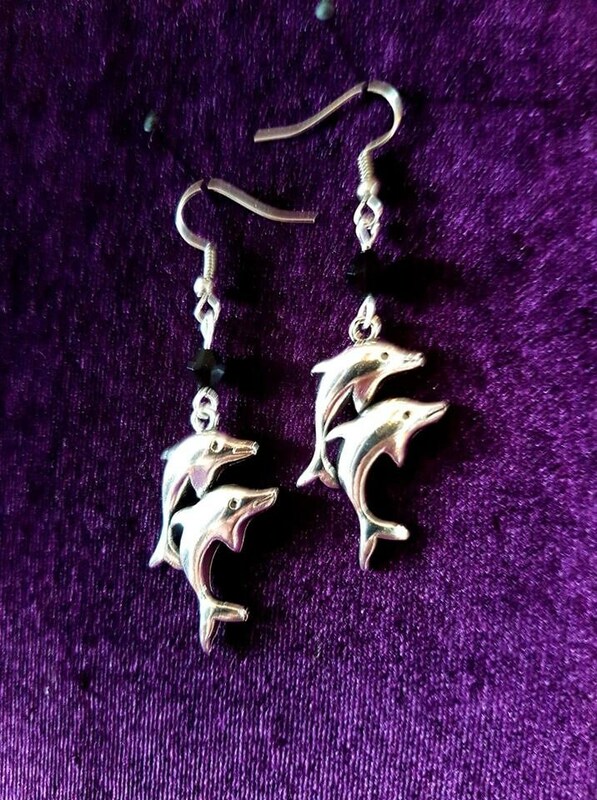 Available as a set, earrings alone or necklace alone. 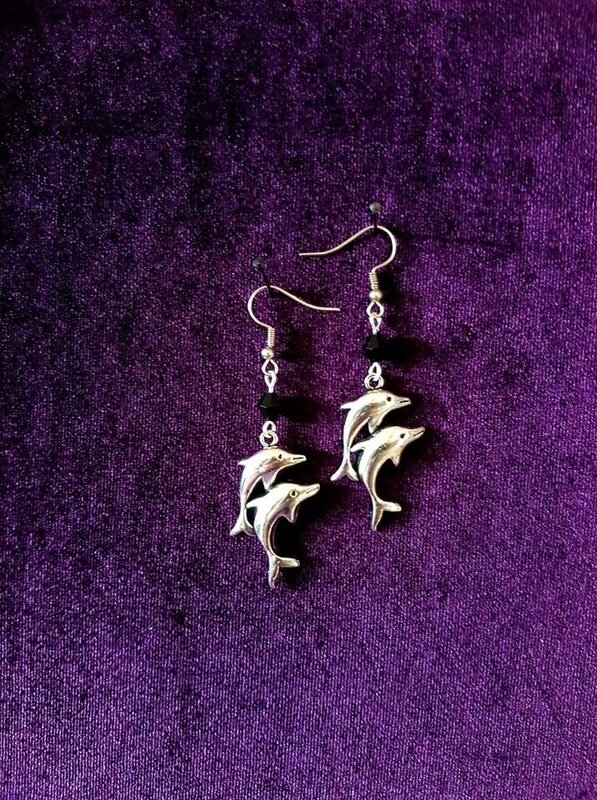 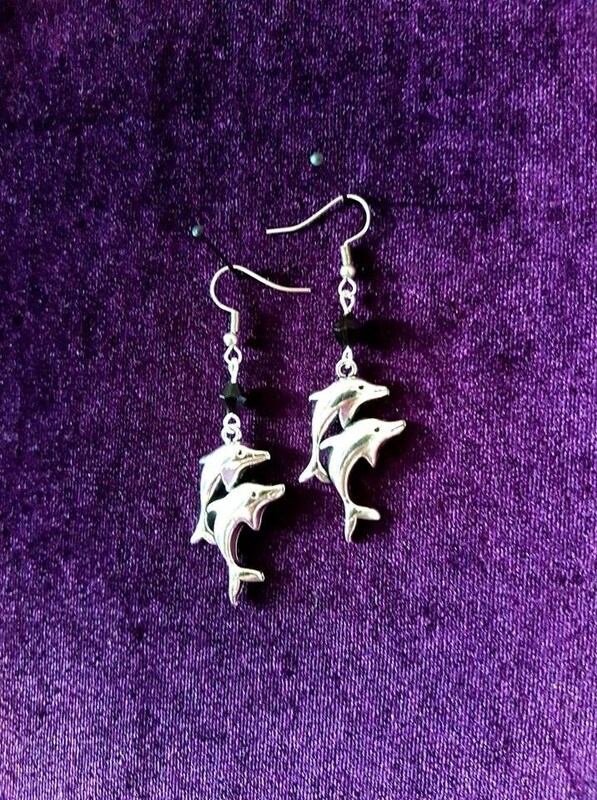 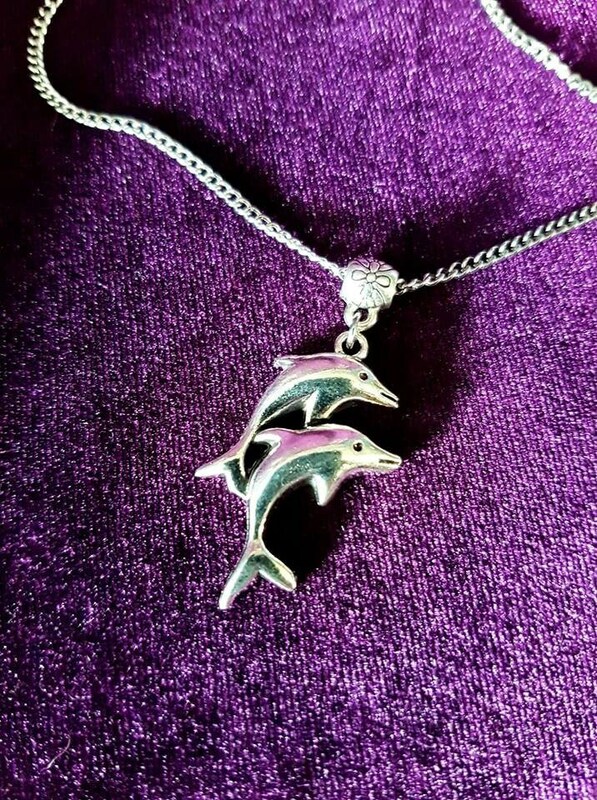 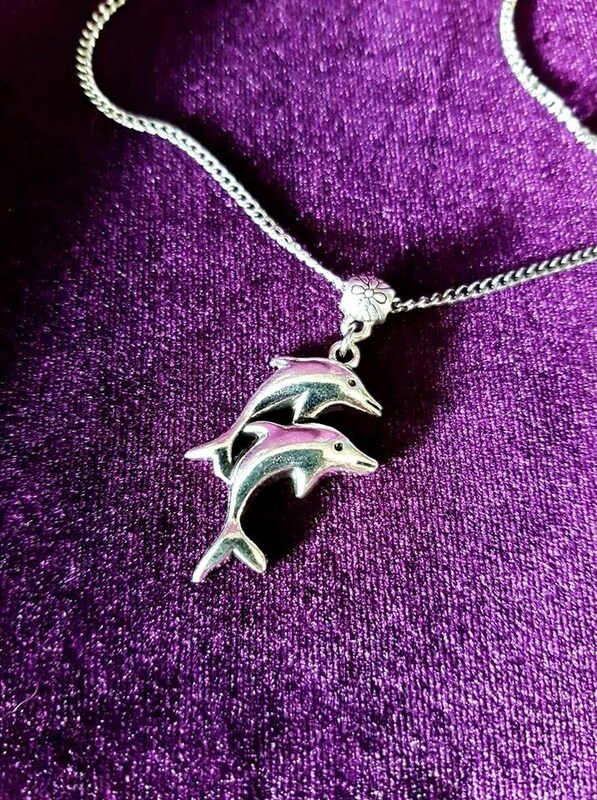 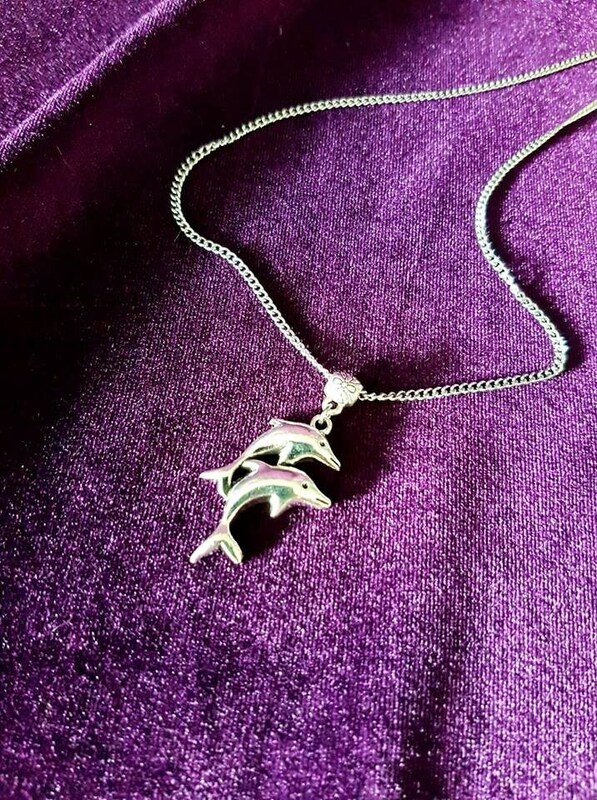 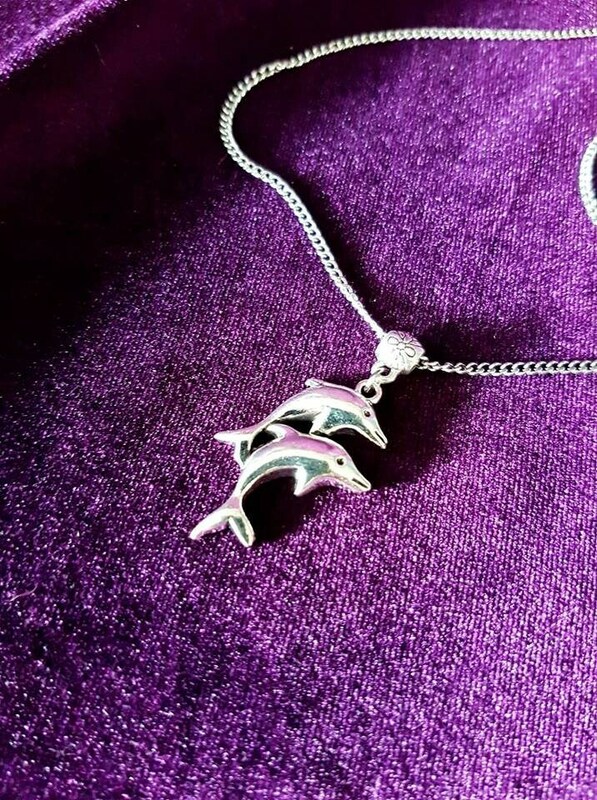 - 2 Silver colour Dolphins. 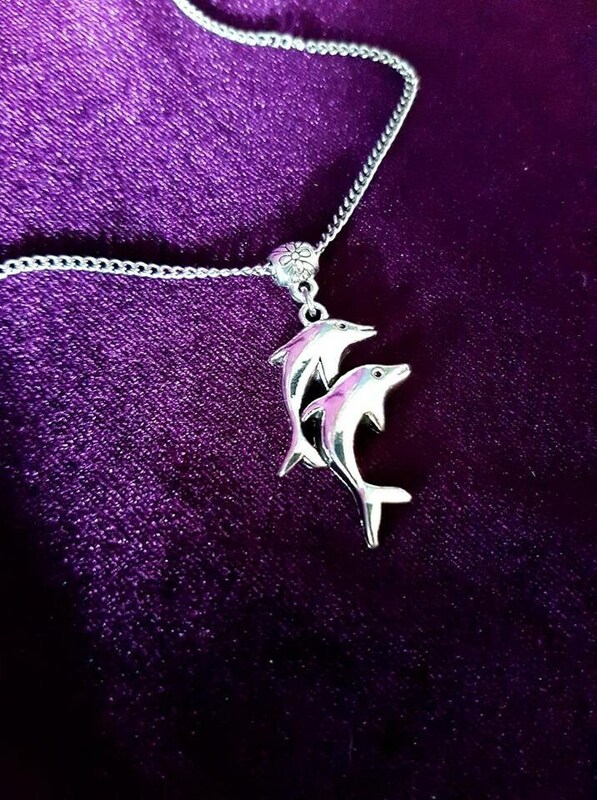 - 40cm long silver colour chain + 5 cm extension chain to adjust to your size. 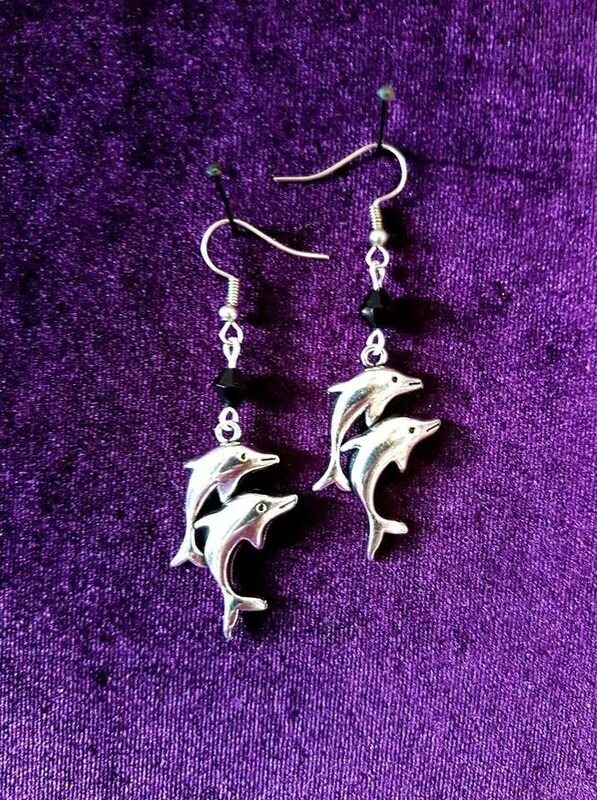 - Black bead on top of the dolphins.